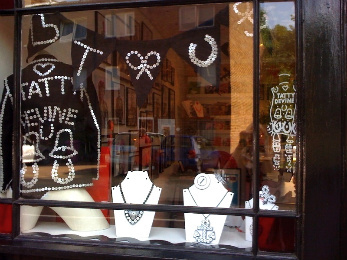 Our Brick Lane Store is Sew Cute! Walking past Tatty Devine in Brick Lane has never been sew much fun! We've gone crazy for buttons! 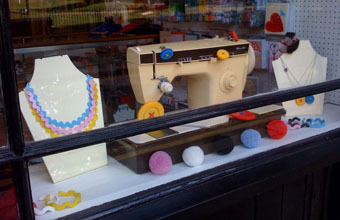 In the first window, we have a cute retro sewing machine with the button jewellery scattered all around it. We just love the current season's Ric Rac Necklaces and Pom Pom Brooches - they make every outfit sew much fun! Pop in and have a look, now!